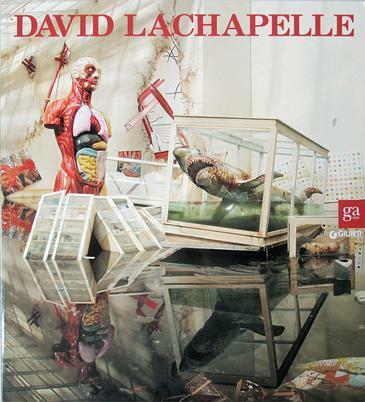 Like a polyhedric mirror, the scenes which LaChapelle has got us used to reflect a variety of innovative combinations, which are not subject to the linearity of logical and temporal sequences, and are marked by a plot of narrative pieces that often result in a conflict of senses and a visual double take. Engaged in creating reality patterns that face up to a society which is more and more penetrated with images, a real overdrive consequent on the telematic revolution, the artist makes the boundaries between dream and reality indistinguishable, thus putting back into perspective the concept itself of perceived reality and unreality, within the cultural context of the modern society. In the nineties, he was amongst the protagonists of an artistic trend that took the dissolution of reality as a reference point for a social analysis, which had already turned philosophy's and sociology's attention. This has brought him to demolish the postulates of fashion and promotional photography, with a new slant that has broadened Andy Warhol's lesson. In other words, he has carried to extremes that global aesthetic deviation of modern society, the seed of which had been grasped by Warhol himself in the United States of the seventies. Since then, the society's tendency to spectacularization (clearly outlined by Guy Debord in 1967) has evolved into an inclination to complete fiction, which was undermined, in the "image society" created by the mass media, the distinction between real and unreal.